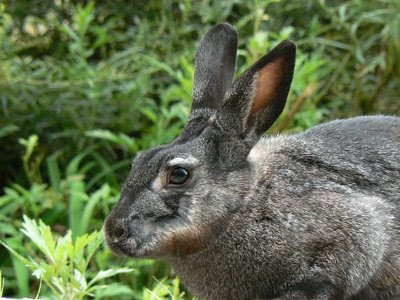 I spotted this bunny on an elevated grassy bank beside Cheonggyecheon. I suspect that he may have once been a pet as he was totally unfazed by the presence of the many people who were crowding around to take his photo. 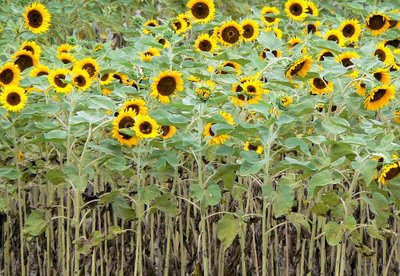 A field of sunflowers beside the Han River near Eungbong station. 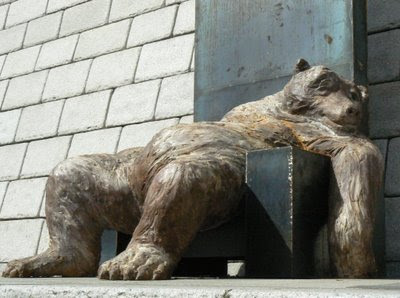 I took this photo this afternoon of one of a series of sculptures on display beside Cheonggyecheon. 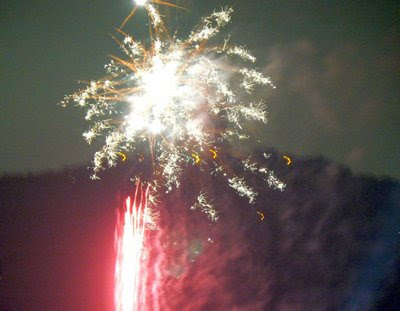 A brief fireworks display was set off the other night over near the War Memorial of Korea. I only had enough time to take a single shot from my apartment window before it was over as quickly as it had begun. The view towards the north-west from the Airport Limousine Bus en-route to Incheon Airport. 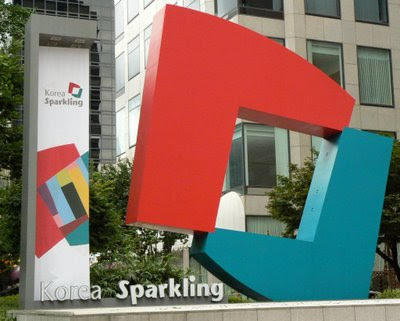 The Korean Tourism logo near Cheonggyecheon, Downtown. 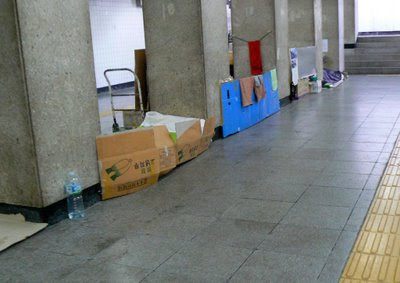 The shelters of homeless people in a pedestrian underpass near Seoul station. 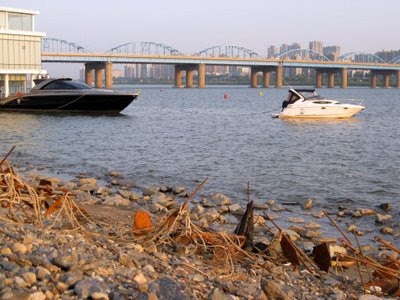 A bridge across the Han with the N Seoul Tower in the background. An early morning view across the Han River. 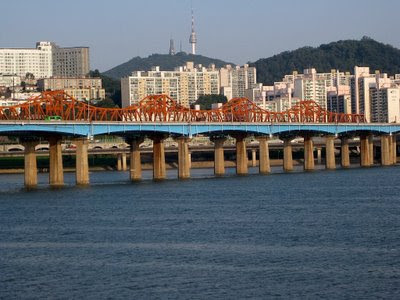 The Gwangtong Bridge dates back to 1410. It was buried when a road was built on the site in the late 1950s. 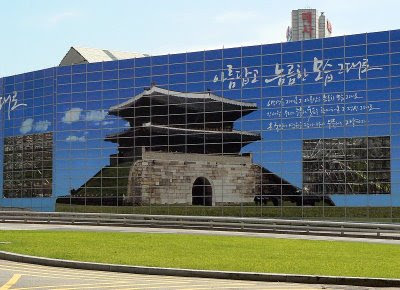 It was eventually restored as part of the Cheonggyecheon redevelopment project in 2005. 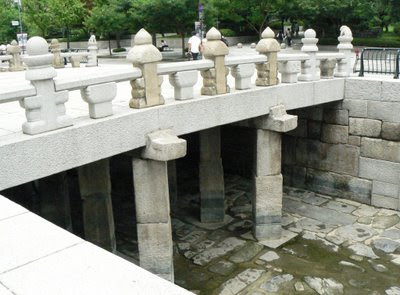 As the new Cheonggye stream is wider than it originally was, additional stones had to be cut to make the bridge fit. 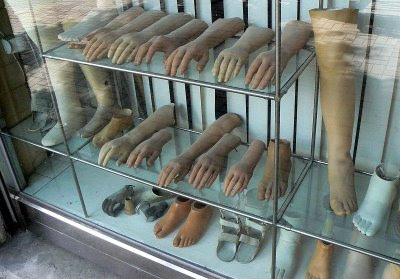 I just got back to Seoul from the Netherlands and am seriously jet-lagged. 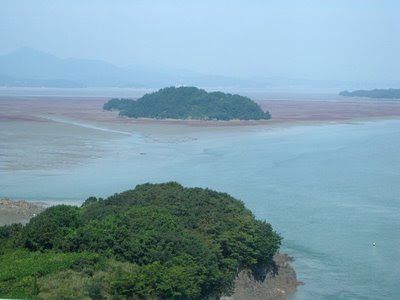 The photo today was taken on a road trip outside Seoul a few months back. 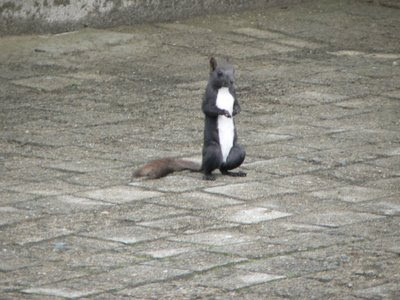 It was taken at long range and is a little out of focus and a bit grainy, but I like the pose on this little squirrel-like critter. The young mini-skirted woman on the right is a pedestrian crossing attendant at Gimpo Airport. When the traffic lights change to red she steps out onto the crossing and makes strange hand guestures/signals to the waiting traffic. Looking across the main courtyard at the Deoksu Palace. A river cruise boat on the Han with the 63 Building in the background. 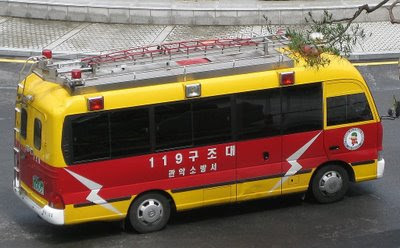 A fire engine parked parked outside a building at SNU Research Park. 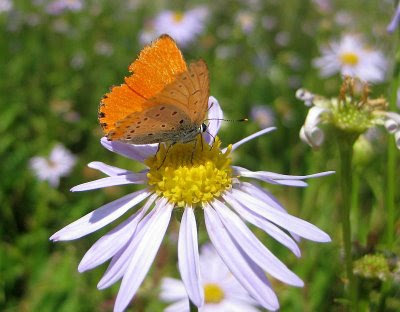 A butterfly rests on a flower in a garden bed on Yeouido Island. 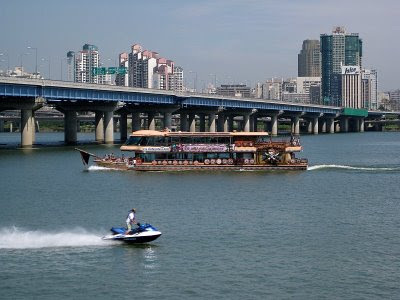 River traffic on the Han as seen from Yeouido. This time an interior shot taken in the ground floor food-hall. 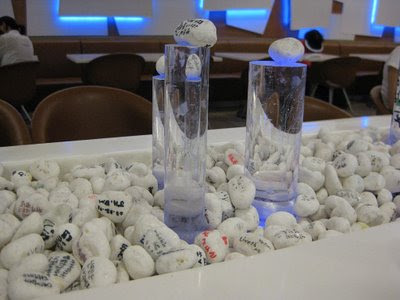 In the middle of some of the long island tables in the food hall there are white pebbles and perspex cylinders sitting on lights that change colour. Most, if not all, of the pebbles have had little messages and symbols of love written on them with marking pens. Some of the pebbles have also been placed on top of the cylinders, as shown above. A photo taken near the base of the 63 Building looking up. 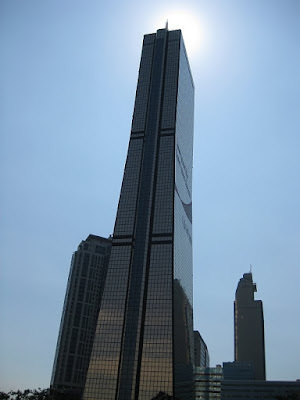 Although the exposure is a bit off, I like the effect that the sun gives shining behind the top of the building. 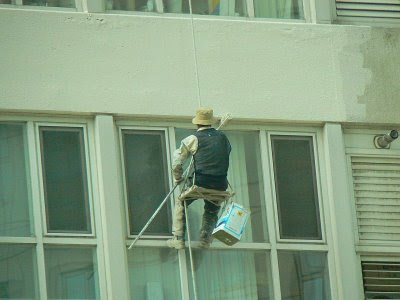 A painter works on the building behind my apartment while suspended in a bosun's chair about 7 floors above the ground. 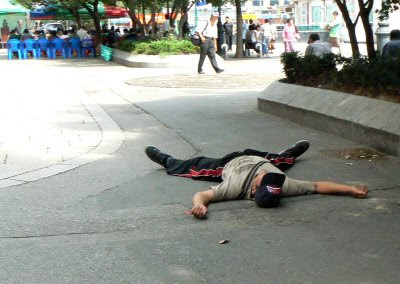 On several occasions when I have walked past Seoul Station I have seen drunks recovering from the night before and/or homeless people sleeping on the pavement. The man above was sprawled out fast asleep last Sunday morning while a religious service was in progress nearby (left rear of the shot). 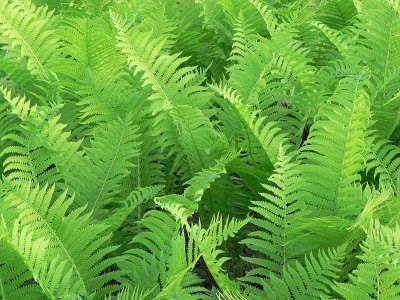 I know it's a simple shot, but I liked the colour, shape and texture of these ferns in a park beside the Han River. 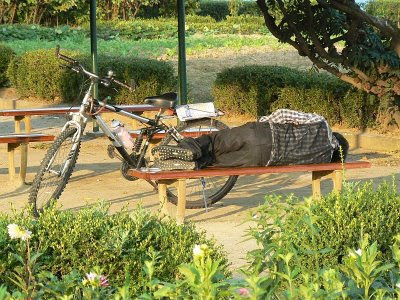 A cyclist takes a nap on a park bench in the early morning sunshine. I have written previously about the tragic loss of Sungnyemun earlier this year. The site now has a large wall built around it showing images of what it looked like before it burned down. Part of the wall has transparent sections through which you can see the scaffolding that has been erected around the reconstruction works. 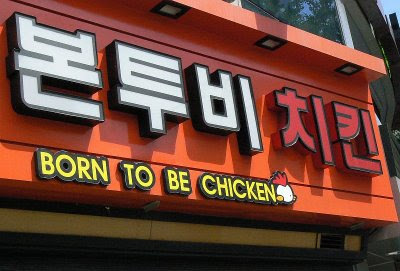 A sign above a restaurant near Namdaemun. Interestingly, the Korean characters on the sign are a phonetic representation of the English words. 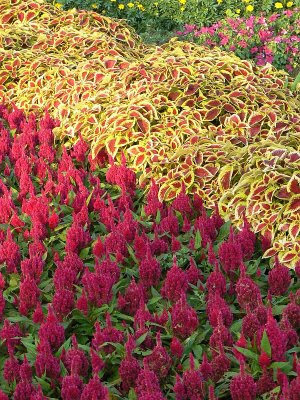 A clourful garden bed in Hangang Park near Jamsil. 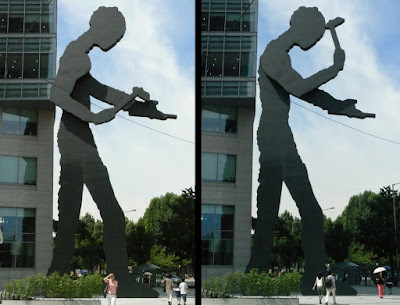 Chuck Pefley recently featured Seattle's Hammering Man sculpture, by Johathan Borofsky. Well, Seoul has its own Hammering Man, which according to the sculptor's Web site, is 72 feet tall. This makes Seoul's sculpture, which is in Gwanghwamun, the tallest of the Hammering Man series. 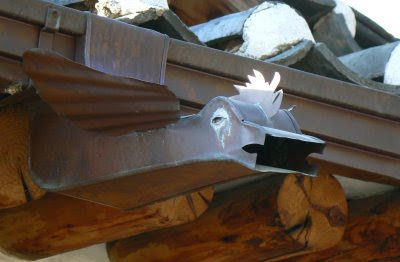 The sculpture is kinetic, with a motor driving the Hammering Man's arm up and down. The two shots above were taken a short time apart to give some indication of the action. I hope that other City Daily Photobloggers will be able to share some of the other Hammering Men with us in future posts. The subject of Theme Day for September is "Sister Cities" and about 140 of my fellow City Daily Photo-bloggers will be interpreting the theme this month (click here to view thumbnails for all participants). 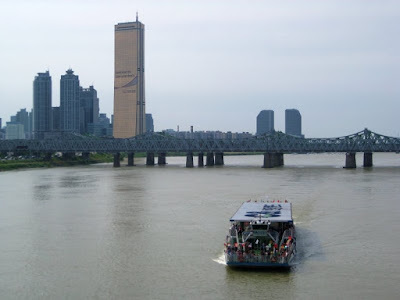 According to this link, Seoul has a large number of sister cities and I have had the good fortune to have visited several of them. Last month I had to go on a business trip to Washington D.C. and, although it was literally a flying visit, I managed to squeeze in a bit of sightseeing around the iconic landmarks of this sister city to Seoul. So for this Theme Day I could have chosen a photo of something like the Washington Monument, the White House, the Capitol Building, the Lincoln Memorial etc., but I wanted to capture an image that I felt really linked the two cities together. What I finally settled on is a photo of just part of the Korean War Veterans Memorial which is located near the Lincoln Memorial, south of the Reflecting Pool. 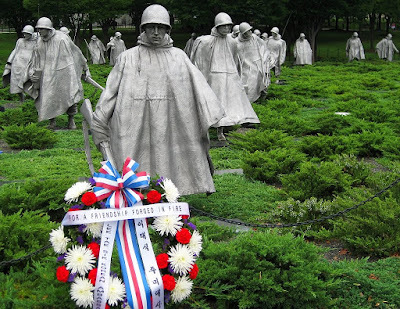 As stated by Public Law 99-572, on 28 October 1986, the memorial was created to "…to honor members of the United States Armed Forces who served in the Korean War, particularly those who were killed in action, are still missing inaction, or were held as prisoners of war". While the memorial comprises several components, including a mural wall and a pool of remembrance, it is the 19 figures emerging from the forest and patrolling in their ponchos through the juniper bushes that truly moved me. On the day that I visited, a wreath was present that had been placed by the Korean Ambassador, which added a little colour to what is otherwise a sombre scene. Labels: Korean War Veterans Memorial, Sister City, Theme Day, Washington D.C.